The e-Discovery Analysis & Technology (e-DAT) Group at K&L Gates is proud to announce that the Electronic Discovery Law blog has again been named to the ABA Journal’s Blawg 100 list. Thanks to all who nominated us and to all of our readers for their ongoing interest in the important issues affecting electronic discovery! 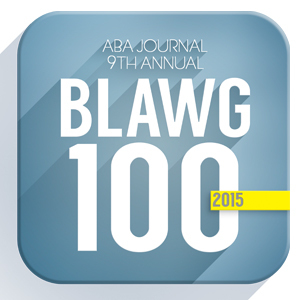 Click here to read more about the ABA Journal’s Blawg 100 list and to see this year’s list of excellent legal blogs and 2015 Hall of Fame inductees.